TOGAF® Foundation (Level 1). Our TOGAF 9 Foundation e-learning course has been approved by The Open Group and will give you a good knowledge of the TOGAF 9 standard. This is an accredited online training course, designed by TOGAF® experts to prepare you with everything you need to gain TOGAF® certifcation at Part 1, or Foundation Level. This course will provide you with a good knowledge of the core TOGAF® principles and concepts and will enable you to prepare for, and sit the TOGAF® Foundation exam. 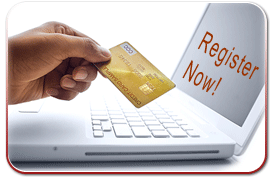 This course is fexible to suit your particular learning needs. You can take the course when it suits you by studying online via a web browser. TOGAF® provides an iterative approach to development at four levels of architecture: Business, Application, Data, and Technology. The Architecture Development Method, or ADM, is the keystone of the framework. 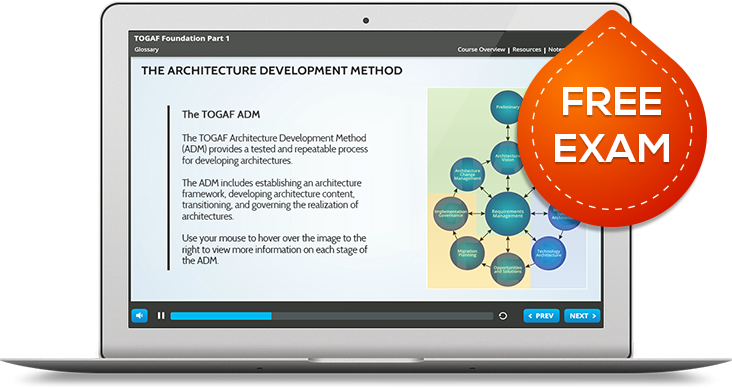 This course is ideal for architects looking to learn about TOGAF® before becoming certifed. The exam is a closed book, multiple choice exam consisting of 40 questions. The pass mark is 55% (22 questions out of 40) and there is a time limit of 60 minutes to complete the exam. Included with the course is a free voucher for the exam, which can be taken at authorized Pearson Vue test centers around the world. This TOGAF® course has been approved and accredited by The Open Group, developers of the TOGAF methodology. © Copyright 2014 Good e-Learning, all rights reserved. This e-Learning course is delivered by Good e-Learning, and accredited by The Open Group. No part of this publication may be reproduced, resold, stored in a retrieval system, or distributed in any form or by any means, without the prior permission of the copyright owner. Such requests for permission may be submitted to: . Good e-Learning is a trading name used by Educational Systems Ltd.